Live & Work in the USA! 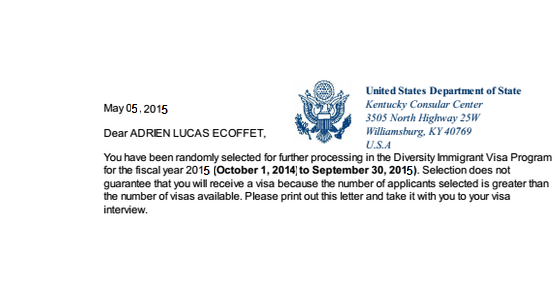 What is the USA Green Card Lottery? DV-2018 is the forth coming American visa lottery program and it is expected to be open officially in this year. This program will select nearly 100,000 applicants as winners and will issue nearly 50,000 American Immigrant visas for the eligible winners after processing their visa applications and checking their eligibility under the draw rules. Over One Million people already immigrated to America through the U.S. Diversity Visa Program. They played and won a Green Card, the right to permanently live and work in the U.S. This time you could be a winner too ! But you must know and understand the rules of the Visa Lottery. Every year many people underestimate how strict those rules are. They fail to prepare properly and make a mistake. Because of that mistake they are disqualified. The result: NO Green Card. Preparation is key to a successful Entry. Only a successful Entry can become a Green Card ! The Applications form will be provided for a period of 34 days only. After this dates the facility will be closed. Note that United Kingdom includes the following dependent areas: Anguilla, Bermuda, British Virgin Islands, Cayman Islands, Falkland Islands, Gibraltar, Montserrat, Pitcairn, St. Helena, and Turks and Caicos Islands. Northern Ireland does qualify. Persons born in the Gaza Strip are chargeable to Egypt for the DV2018 Green Card Lottery this year. Persons born in Hong Kong SAR, Macau SAR, and Taiwan are also eligible to enter the DV2018 Lottery. Natives from all other countries may register for the DV2018 Green Card Lottery. 50,000 people and their families have a chance to Live, Work and Study in USA. Official USA Governmental program with personal support in all steps. Double chance for couple to win the US Green Card. 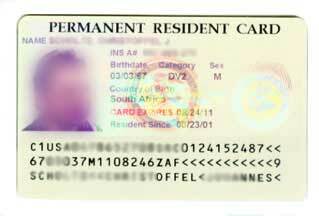 The Green card Lottery Organization can only provide self help services at your specific direction. Most of applicants made mistake in registration and will deleted automatically from system because of roll. Our expert team will help you to register online. If you are interested, please send us the first page of passport and a photo. If you don’t have diploma, you are not allowed to register unless you have 2 years working experience. The age limitation: Below 17 should covered by father and mothers. Between 17 – 21, they have 2 chance to register: alone and with father and mother. If you don’t have any passport, you can register. Each year, the Green Card Lottery Department forbidden some countries and give this change to other countries to increase their share. When you registered in the website, you should keep the confirmation number to check your situation in next year because this is the only way to know you are win or no. The online check is only way to know your status. So, if you received any emails, or some body call you, all of them are fake. Your Photo should be 600 * 600 Pixel with a white background. If you would like to register for DV lottery 2018 yourself, please click here.